The CMMR concerts will take place in the prestigious Wilton's Music Hall located in East London near Tower Hill. 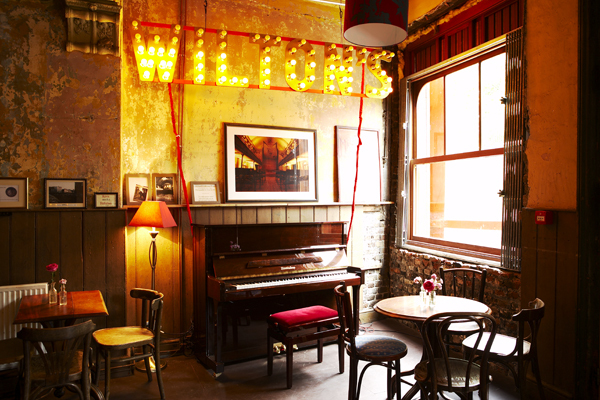 The Wilton's Music Hall is the "world's oldest, surviving Grand Music Hall" and produces an exciting programme of creative entertainment including theatre, music, comedy, cinema and cabaret. Wilton's Grand Music Hall appears in the feature films Cassandra's Dream (2007) from Woody Allen and Dorian Gray (2009) from Oliver Parker in which the setting takes place in London. Please click on the images images below to discover the Wilton's venue. Wilton's is half way down Graces Alley (pedestrian access only), just off Ensign Street, which is between Cable Street and The Highway, near Tower Bridge and St. Katherine's Dock. Tube stations within walking distance: Aldgate East, Tower Hill. DLR: Tower Gateway, Shadwell. Buses within walking distance: D3, 115, RV1, 100, 79, 42, 25, 205 and 254. Parking: Limited parking is available in Ensign Street and surrounding streets. It is free after 5.30pm and at weekends. There is a public car park on the corner of Mansell Street and Shorter Street.